NEWS LIVE: This live report is closed. 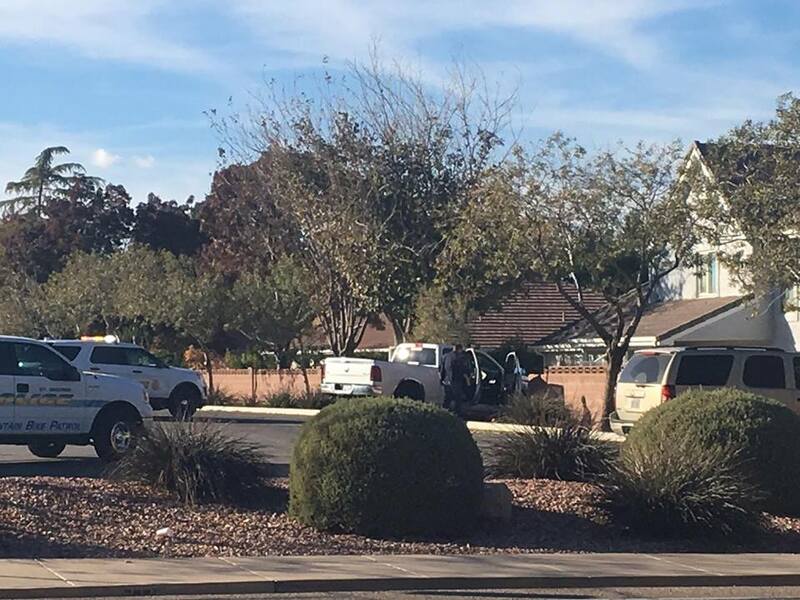 UPDATE: 3:23 p.m. — Officials have apprehended the suspect and taken him into custody. Read more: Fugitive flees FBI, other agencies only to crash truck, get caught. 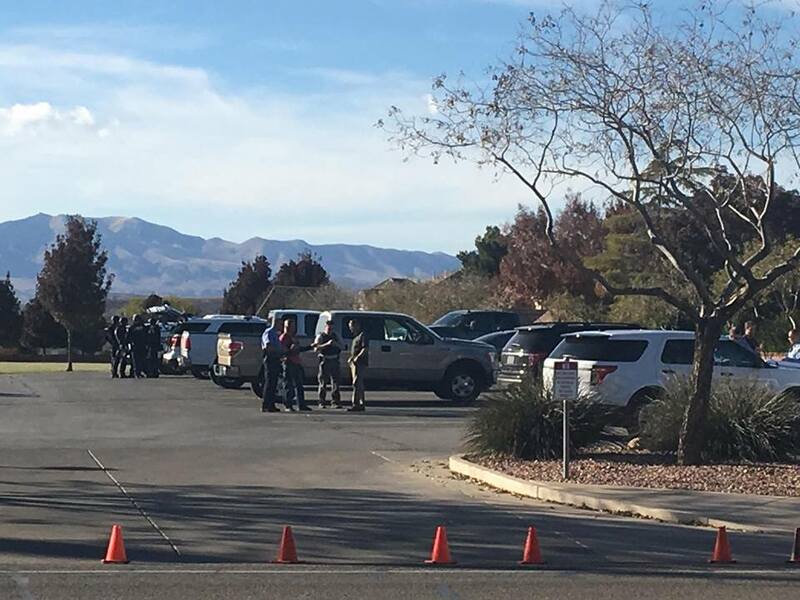 ST. GEORGE — The FBI is pursuing an alleged kidnapping and armed robbery suspect who crashed his vehicle into a fence on South River Road while fleeing from law enforcement Thursday afternoon. 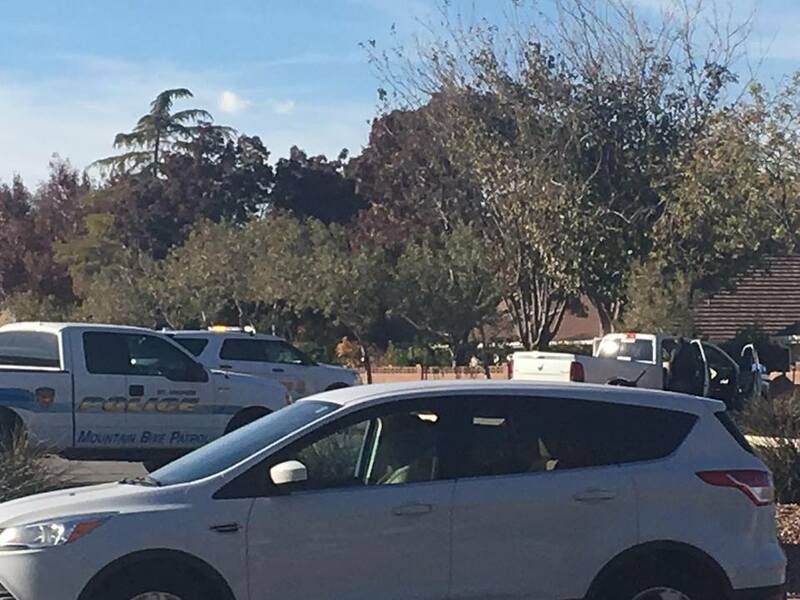 The FBI is reportedly searching for the suspect in neighborhoods near St. James Lane, prompting a reverse 911 alert to warn residents in the Bloomington Hills area. 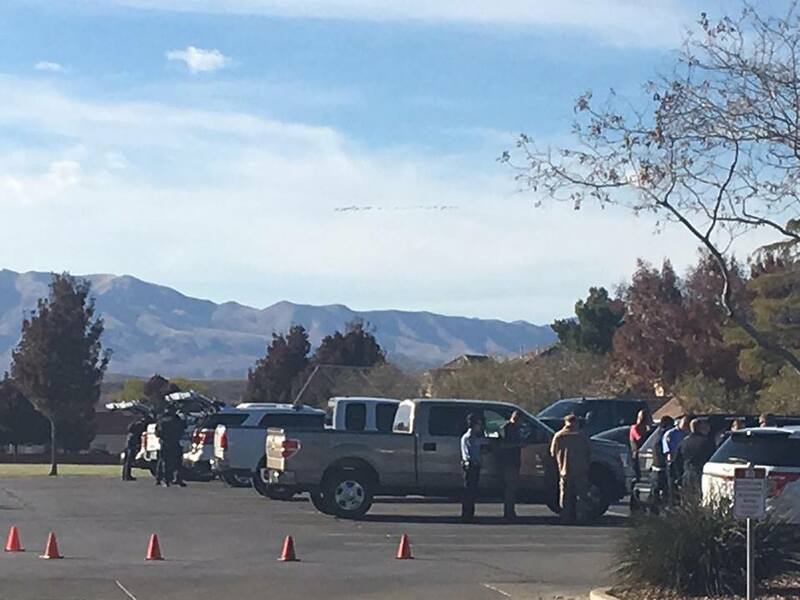 At approximately 1:59 p.m., the suspect crashed a white 2003 Dodge Ram into a wall in the parking lot of the chapel of The Church of Jesus Christ of Latter-day Saints at 1762 S. River Road. 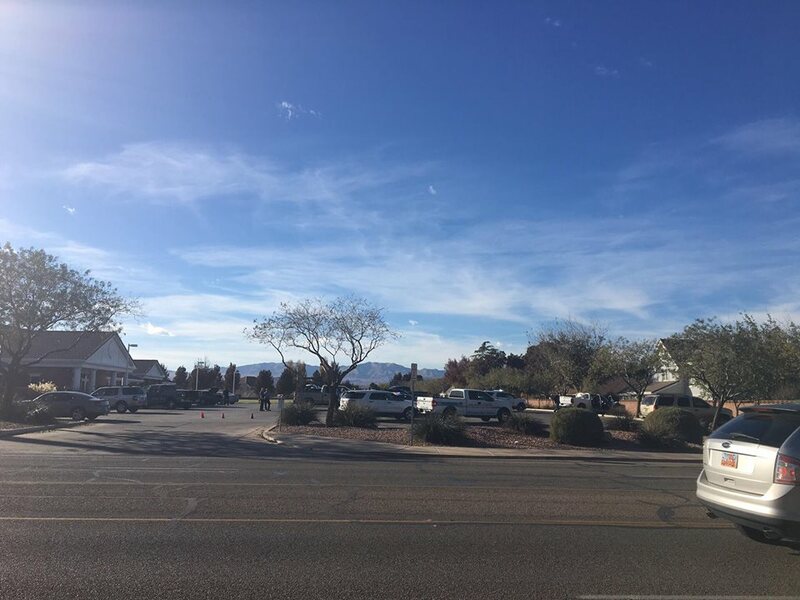 St. George Police public information officer Lona Trombley told St. George News at the scene that the FBI is the main point of contact on the investigation; however, she was able to confirm that the incident originated with Las Vegas Metro Police. 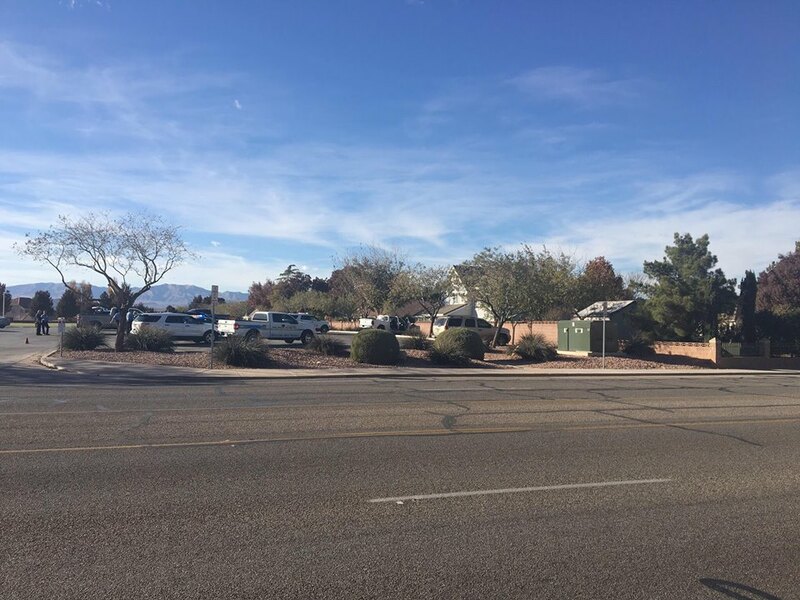 St. George Police became involved in the incident after being notified the suspect was located within the department’s jurisdiction, Trombley said. The suspect has been identified by police as David Cody Temples and is described as being 6-feet 1-inch tall, weighing approximately 215 pounds, brown shaggy hair, blue eyes, and wearing jeans, a plaid shirt, black jacket and red tennis shoes. Police said it is unknown whether Temples is currently carrying any weapons. This is a developing story, updated periodically. The world is crazy, your not safe at mall, movie theater, schools on lockdown .road rage stealing packages on porches etc.. Governor promises more. Money for police, thanks..drugs are a problem too. You can,t stay home all the time..
Nobody said you can’t go out. that’s just the way you see it. there is something going on somewhere all the time and people just go on about their business anyway. have fun hiding in your closet. but come out to enjoy the jubilant festivities of the holiday season with the family. ScanMeister, I’ve reviewed the two reports we did on this incident. 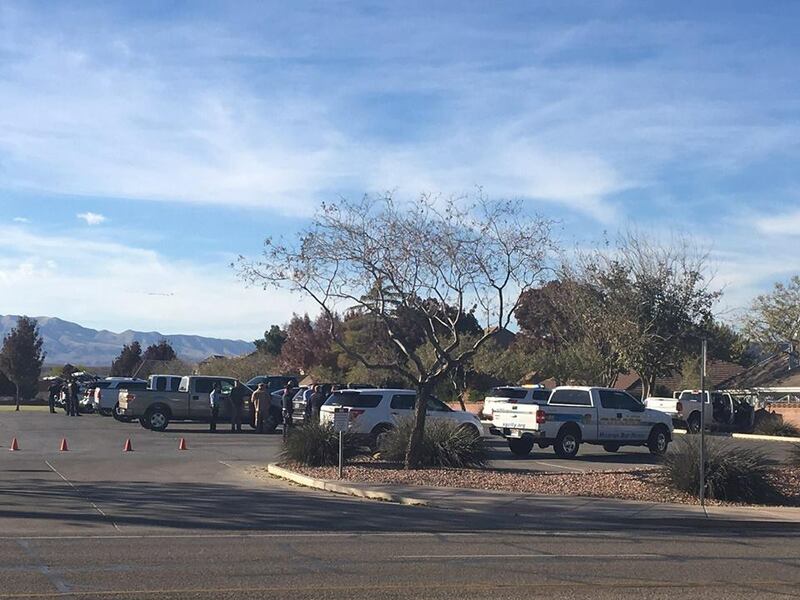 The first was a News LIVE as it unfolded, in part on River Road – tat said, the ultimate crash occurred at the LDS chapel at 1762 S. River Road, as reported in our full report on the incident, which I’m linking for you below in case you missed it. I’m also updating the LIVE report with that address. Thank you – I appreciate the attention to detail, it matters. Police can’t be everywhere. Pack a gun, or have one handy, practice enough to successfully protect yourself. Leave home with confidence. Call police to report bad guy down if necessary.